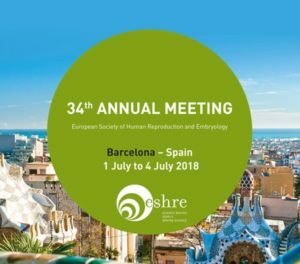 Dear Customers, Colleagues and Friends, we are pleased to announce our participation in the 34th Annual Meeting of ESHRE from 1 to 4 July 2018 in Barcelona. We look forward to welcome you at stand no. 416.